Right Click=Add the item to your ignore list. Ctrl + MouseWheel=Increase or decrease button size. Fixed issue which prevented viable items from showing up as being able to be disenchanted. Fixed error with UnitBuff usage. Updated LibProcessable and made it a custom library in order to keep garrison compatibility. 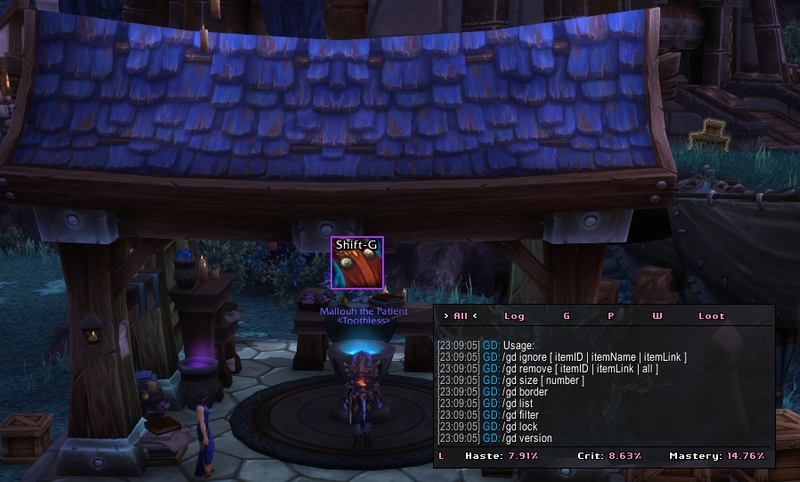 The latest version of this addon is 1.47 and was uploaded on Feb 03, 2019 at 21:15. This file was last downloaded on Apr 18, 2019 at 14:31 and has been downloaded 1505 times. If you need support or want to request features then you need to do so in a ticket. Comments are not checked often, and support/feature requests in comments are ignored.